TSA acts to lead the industry – to represent the sector effectively and with authority to Government both in the UK and EU, to regulatory bodies and to the media. 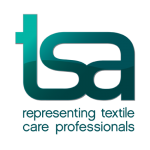 TSA is the first port of call for information about the sector and its markets, undertaking regular comprehensive market research. Its members also receive advice and guidance on all manner of business issues, from health and safety to employment affairs and NVQs. TSA runs a series of cost effective training courses and seminars and is committed to education and training and improving its members businesses and their competitiveness.